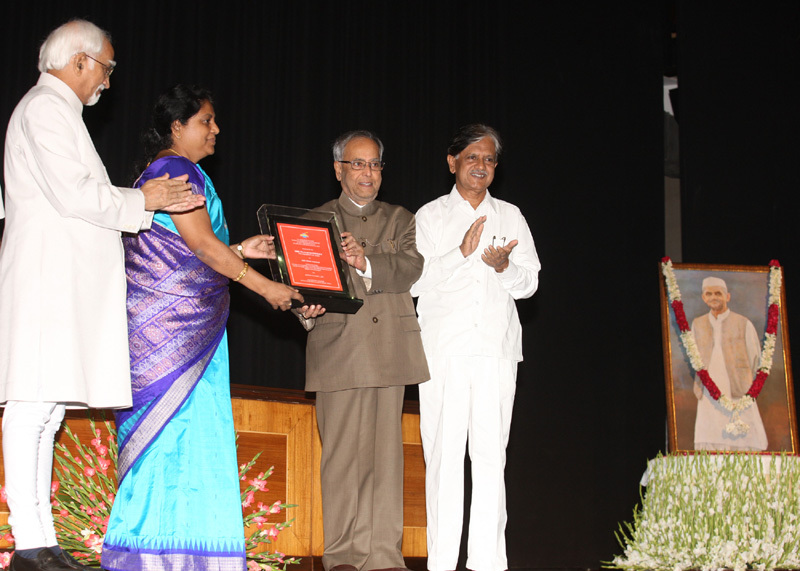 New Delhi:(Page3 News Network)-The President of India, Shri Pranab Mukherjee conferred on Smt. Tessy Thomas, the prestigious Lal Bahadur Shastri National Award for Excellence in Public Administration, Academics and Management: 2012 at a function in Rashtrapati Bhavan today. The President congratulated Smt. Tessy Thomas and said that she had made the country proud by her achievements. Trajectory Simulation and Mission Design. She is also the Associate Project Director (Mission) for Agni-I, II & III systems. She has been associated with the Agni Programme right from their developmental stages. She has designed the guidance scheme for long range missile systems which is used in all Agni missiles. Currently, she is the Project Director of Agni –IV, which is a major project with state of the art technologies. The Agni-IV was successfully flight tested on 15th November, 2011. This is a state of the art system with range to launch mass ratio of 15% better than its equivalent missiles across the world. Smt. Tessy is Project Director (Mission) for the long range Agni – V System also and has successfully flight tested Agni – V on 19th April, 2012. She, as the Technology Director for Mission Design and System Analysis Group of Advances Systems Laboratory, has significantly contributed in the development of various systems associated with missiles technology. The Lal Bahadur Shastri National Award, instituted by the Lal Bahadur Shastri Institute of Management (LBSIM) honours each year an Indian, residing either in India or abroad, who is an exceptionally outstanding and distinguished business leader, management practitioner, public administrator, educator or institution builder for his/her sustained individual contributions and achievements of high professional order and excellence. The honour carries a cash award of Rupees Five Lakh plus a Citation and a Plaque. The Awardee’s name is inscribed on the Roll of Honour of LBSIM and he/she is designated as Lal Bahadur Shastri Fellow.